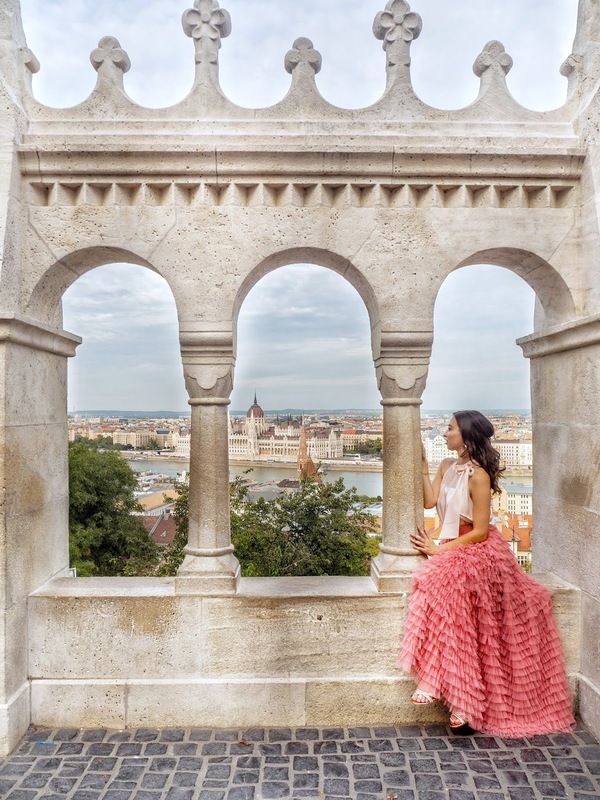 I think Budapest was one of my favourite cities I've ever visited, not only because of the absolutely stunning architecture, but the weather was blooming gorgeous, even in September, and it was actually very reasonably priced. 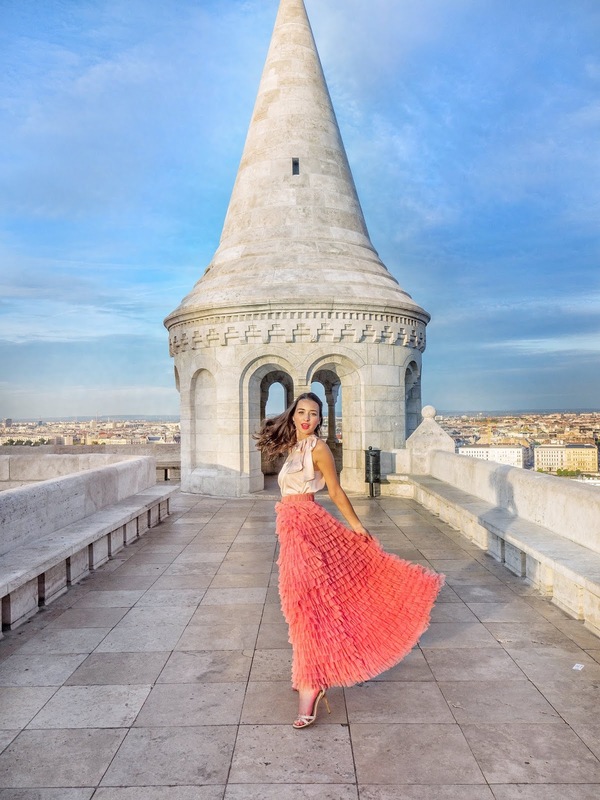 I can't help but recommend this as a location to put on your bucket list and hopefully this post will give you a little bit of inspiration for your future trip! I actually paid for the flights and accomodation for Tom's birthday present, so I will be sharing the prices on here too. 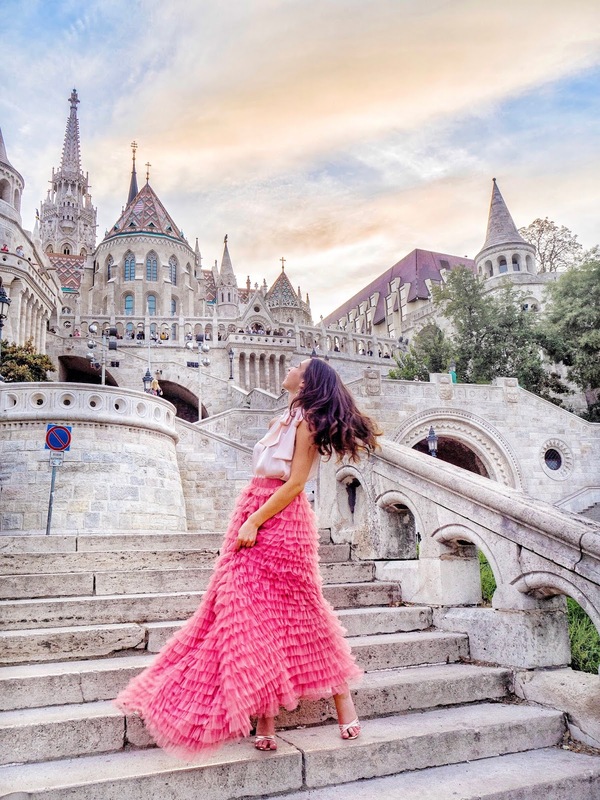 Our flights to Budapest were very cheap, and I managed to get them even cheaper by flying out and into two different London airports. They came to only £100 for the two of us. As always, I used Sky Scanner to find the best dates and prices. 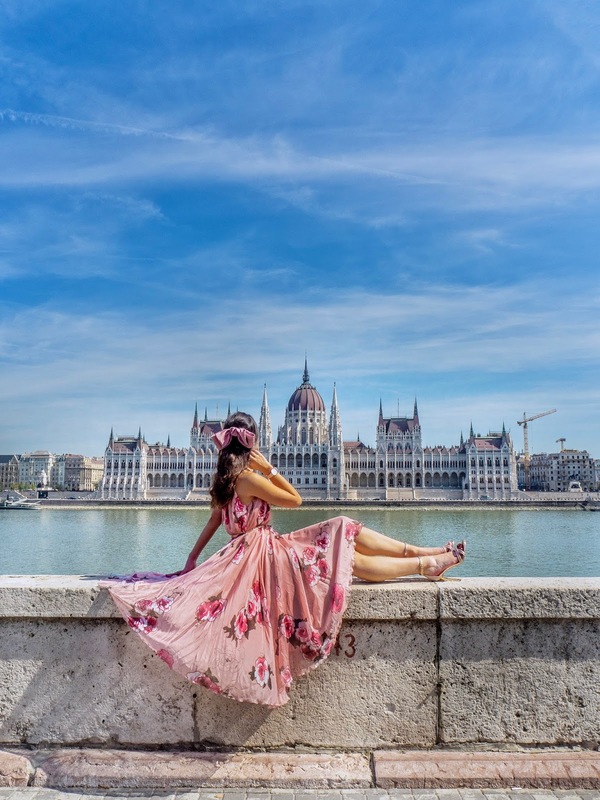 Most of what we wanted to visit in Budapest was within walking distance, so we didn't have to spend that much on public transport. The only thing we paid for were underground trains to and from the thermal baths (as these were too far to walk) and the bus fare to and from the airport. To get from the airport you just take the 100E from outside the terminal and tickets cost less than a pound each way. The metro prices are very reasonable but be sure to punch your ticket before getting on the train! This is something tourists aren't always aware of (and it's not made obvious either), but you can end up with a hefty fine if you do get caught. I had spotted this gorgeous Airbnb on a couple of other Instagrammer's feeds and I 100% knew I had to stay there if we ever visited. For two nights it cost me £297.77, which I thought was very reasonable, especially for the size of the apartment! It has two double bedrooms, so you could easily sleep four people in it and split the cost between you all. It also has the most stunning view of the Parliament Building ever, which is pretty much its main selling point. But the apartment itself was clean, gorgeous and perfect for our stay. It even had rose gold balloons in the cupboard! Also, if you sign up to Airbnb using my link HERE, you'll receive £25 towards your first booking! As we had a kitchen in our Airbnb, we didn't really go out to eat that much, but one of the two places we did go to was New York Cafe, proclaimed as 'the most beautiful cafe in the world', and they're not wrong. It is quite stunning. I was expecting the food to be a bit lacklustre because it seemed to be one of those places that relies heavily on its appearance, but the food was actually insanely delicious! Tom even said the burger he had here was the best burger he'd ever eaten, which is high praise indeed! I'd definitely recommend stopping by, and not just for the photos! 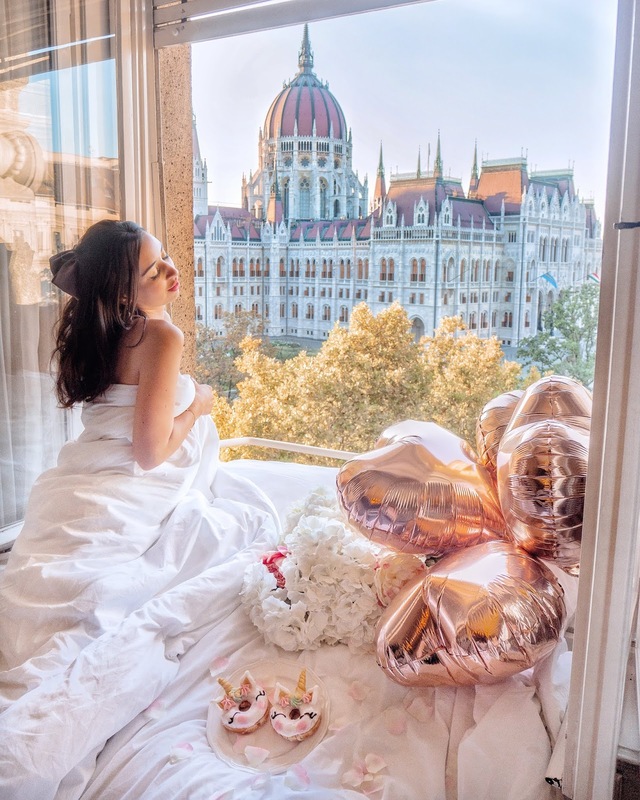 It seems that Budapest is giving London a run for its money when it comes to beautiful restaurants! This was another Instagram hot spot and I was dying to get a photo under the beautiful cherry blossom display. The food here was also lovely and I'm so pleased we took a walk here to visit. For the ultimate freakshakes and adorable doughnuts, Mr Funk is a must visit! 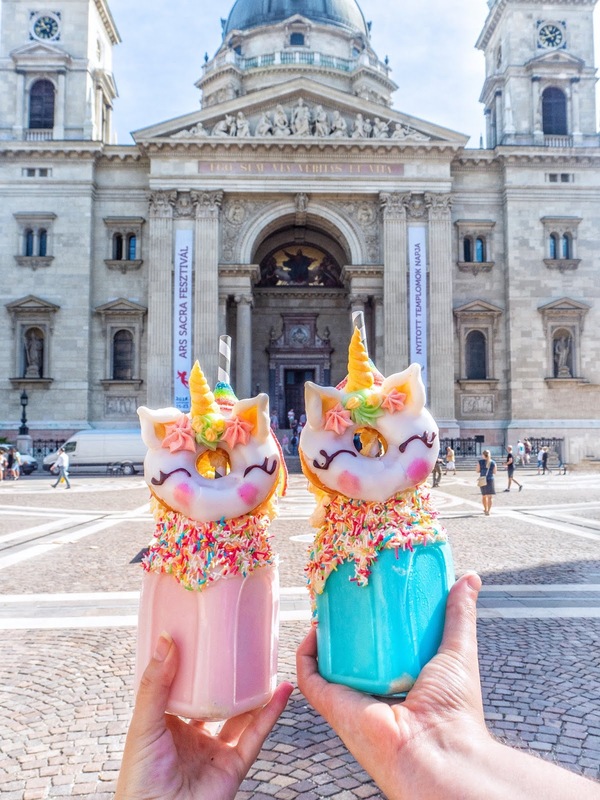 We couldn't help but order these amazing Unicorn Freakshakes (even though they might be the most expensive thing we bought on the trip! ), and they were just as delicious as they were pretty. 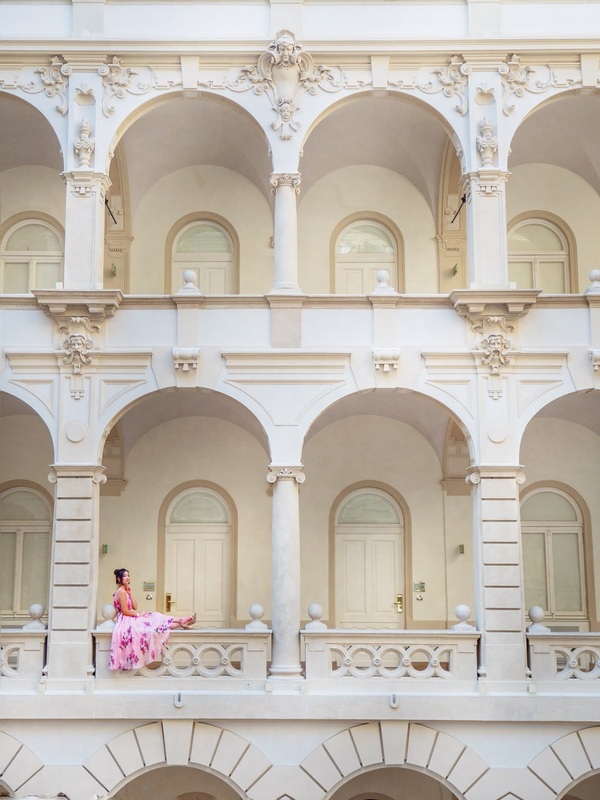 It's also round the corner from St Stephen's Basilica, so be sure to stop by there on your way. 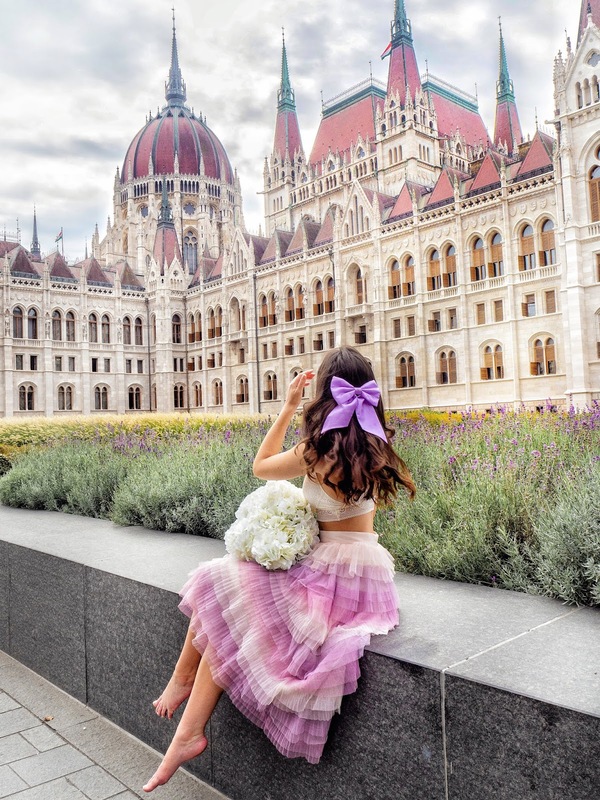 Hands down one of the most beautiful buildings I've ever seen, the Hungarian Parliament Building is just something you must see for yourself. There's also a wonderful view of it from across the river too! If you get the chance to see it at night it's also incredible. We didn't head inside, but I'm pretty sure you can have a tour if you want to. 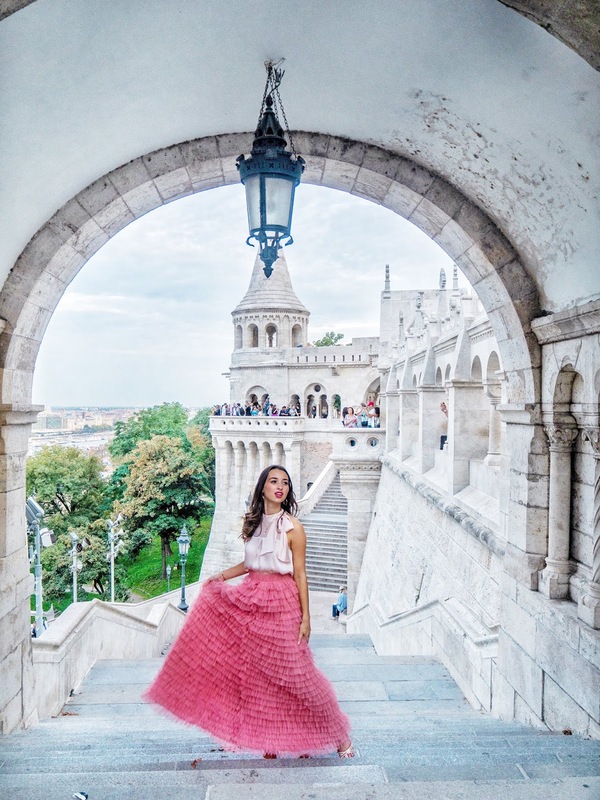 Pretty much the entire reason I visited Budapest was to see Fisherman's Bastion! As a head's up, it's insanely busy, so be sure to head there either very early (around 7:30 before all the tourist buses arrive) or late evening. We ended up opting for late evening so we didn't have two early starts and even though it was busier than I would have liked we still managed to get some great shots that I'm really pleased with. It's free to visit but you do have to pay to enter the terrace (pictured above), which is only around £3.50 each and it's far less busy there. These baths seem to be a bit hit and miss with tourists, with some people hating them and others loving them. I fall into the latter category and I really enjoyed going here. The baths were absolutely beautiful and it was so nice to relax in the warm waters. We went very early to get here with no crowds, arriving for 6am. We got the weekday morning bath ticket (6am-8am) with locker usage which cost £13 each. It gets more expensive depending on when you go. 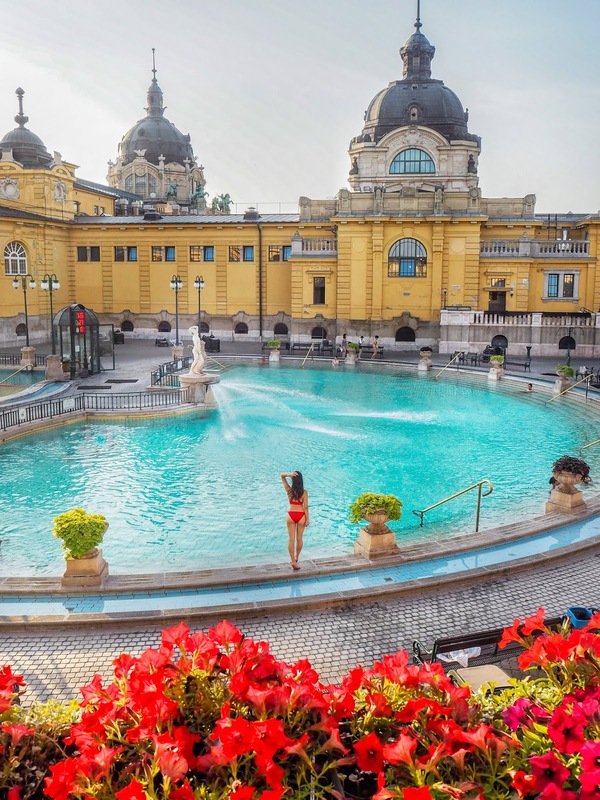 There are also the Gellert Baths which look beautiful, but I never had the chance to go there. Maybe next time!